JACII event in the Detroit area discussing the importance of fairly drawn congressional districts. Detroit Jewish News by Stacy Gittleman. We cannot let time ease the pain and fade the images of neo-Nazi's yelling, "Jews will not replace us. Blood and soil." In our fast-paced world, we are bombarded constantly by social media, crises and world conflict. Our attention flickers just as quickly. But as summer and the Congressional recess winds down and our attention turns to health care, debt ceilings and a possible government shutdown, we must still remember Charlottesville and the anti-Semitism and bigotry that has seeped into our society. Complacency is dangerous. For the past seven months, President Donald Trump and Secretary of State Rex Tillerson have refused to appoint a Special Envoy to Monitor and Combat Anti-Semitism. The envoy, who has always received bipartisan Congressional support, plays a critical role in our country's efforts to fight domestic and international anti-Semitism. Call your Representative and Senators at 202-224-3121. Tell them to urge the President and Secretary of State to fill this position and tell them to support the NO HATE Act bill. We can't remain silent at home nor abroad. Join JAC for special member event: an in-depth discussion about anti-Semitism with Ira Forman, former U.S. Special Envoy to Monitor and Combat Anti-Semitism on Tuesday, August 29th 3:00 pm CT/4:00 pm ET. Click here for more information. What can you do? STAY INFORMED. Read and share JAC's information; continue to support JAC candidates to ensure that there is always a strong representation of the issues important to us all. "To provide incentives for hate crime reporting, grants for State-run hate crime hotlines, a Federal private right of action for victims of hate crimes, and additional penalties for individuals convicted under the Matthew Shephard and James Byrd, Jr. Hate Crimes Prevention Act." Also urge Congress to press the Administration to fill the vacancy of the Special Envoy to Monitor & Combat Anti-Semitism. We must act. 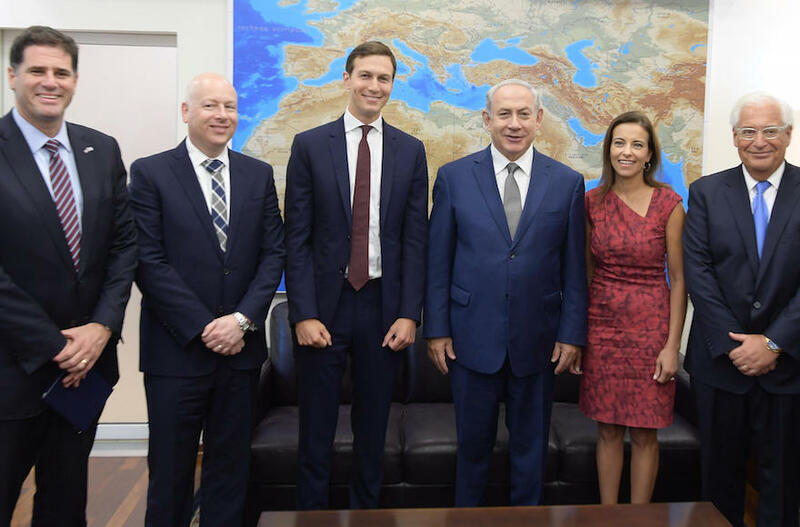 Israeli Prime Minister Benjamin Netanyahu met in Jerusalem with senior White House adviser Jared Kushner and a delegation of American diplomats trying to restart peace talks between Israel and the Palestinians. The meeting is part of a visit to the region by the U.S. diplomats. Kushner and the group were meeting that evening with Palestinian Authority President Mahmoud Abbas in Ramallah. Prior to its arrival in Israel, the delegation met with leaders in Egypt, Saudi Arabia and Jordan. Palestinians Have Spent Decades Battling Israel. Now They're Battling Each Other. Palestinians are facing an existential crisis over the future of their struggle for independence, but this time the enemy isn't just Israel. Instead, they're fighting each other - and the clash has major stakes for one of the world's longest-running, and most violent, political disputes. The Trump administration is reportedly urging the UN's Human Rights Council not to publish its blacklist of international companies operating in the West Bank, East Jerusalem and the Golan Heights, saying the move was "counterproductive" and would not advance the Israeli-Palestinian peace process. Last year, the UN body unanimously voted to compile a database of all business enterprises that have enabled or profited from the growth of Israeli settlements in areas Palestinians see as part of their future state. Several American rabbinical groups cancelled an annual Jewish high holidays call with President Trump because of his response to the Charlottesville protest. "The president's words have given succor to those who advocate anti-Semitism, racism, and xenophobia," the organizations-the Central Conference of American Rabbis, the Rabbinical Assembly, the Reconstructionist Rabbinical Association, and the Religious Action Center of Reform Judaism-wrote in a joint statement. As Jewish liaisons to four different presidents, we had the responsibility inside the White House to give voice to the perspectives and priorities of the American Jewish community. While our community may not be unified in matters of policy and politics, our spiritual practice, cultural traditions and history have instilled in American Jews a shared commitment to protecting those targeted by bigots, racists and others spewing hate and division. If we had a successor in the current White House - there is no liaison to the Jewish community in the Trump White House - we hope he or she would have done so, too. How Should We Protest Neo-Nazis? Lessons from German History. After the murder of Heather Heyer in Charlottesville, many people are asking themselves what they should do if Nazis rally in their city. Should they put their bodies on the line in counterdemonstrations? Some say yes. History says no. Take it from me: I study the original Nazis. The Trump administration is preparing to roll back the Obama-era free birth control mandate, a move legal groups say would be unconstitutional and subject to a court challenge. A key provision of the Affordable Care Act made more than a dozen preventative care services available free of charge for people covered by health insurance-from primary care checkups to vaccines to diabetes screenings. The only service targeted by the Trump rule change is coverage of contraception. Federal health insurance rules are a moving target, and it's unclear whether Republicans will take another run at replacing the Affordable Care Act. In the meantime, some states are staking out strong positions on coverage of abortion, regardless of how the federal landscape changes. Texas Seeks to Defund Planned Parenthood. If It's Successful, Other States Could Follow. 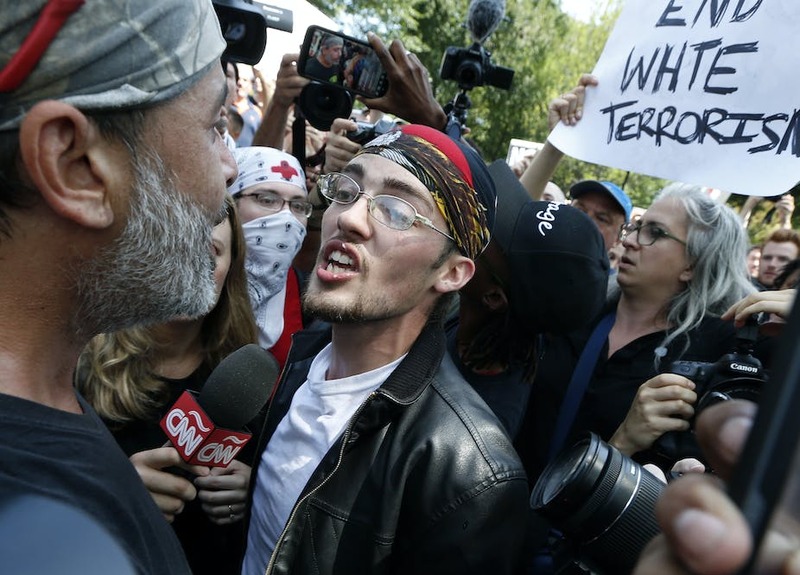 A few days after white supremacists rallied in Charlottesville, A.R. Bernard became the first member of President Trump's evangelical advisory board to resign. "It became obvious that there was a deepening conflict in values between myself and the administration," the pastor of New York City's Christian Cultural Center wrote in a statement. So far, he's been the only one to step down since Trump took office. 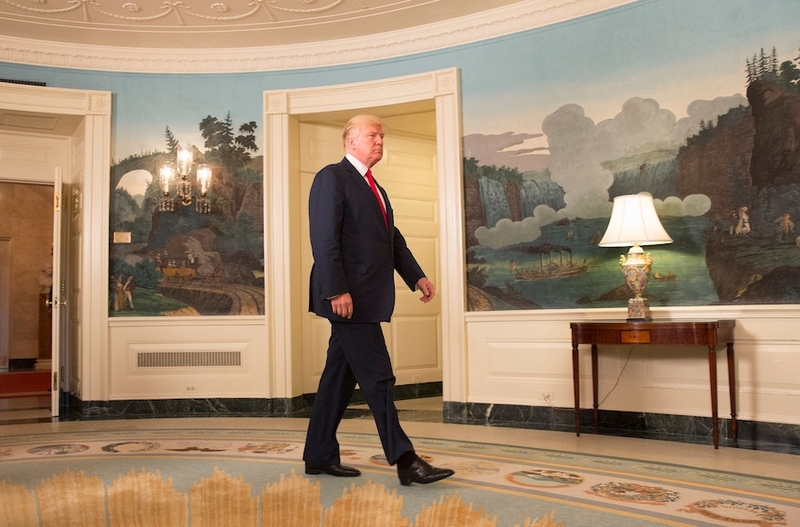 While Trump's advisers are largely standing unified behind him, the evangelical world is deeply split over the right way to approach politics. Trump Spiritual Adviser Paula White Says He Is "Raised Up by God"
Almost one in two of the United States' voting-age population failed to cast their ballot in last November's presidential elections, putting the United States far behind almost all other developed democracies around the world in voter turnout. Many proposals have been offered to tackle this embarrassing problem: Hold elections on weekends. Make Election Day a national holiday. Get rid of voter ID laws. Roll out automatic voter registration. Now, a political scientist is offering another solution: Teach kids social skills. A federal court in Texas has struck down the state's controversial voter identification law, granting an injunction that bars state officials from enforcing the measure. 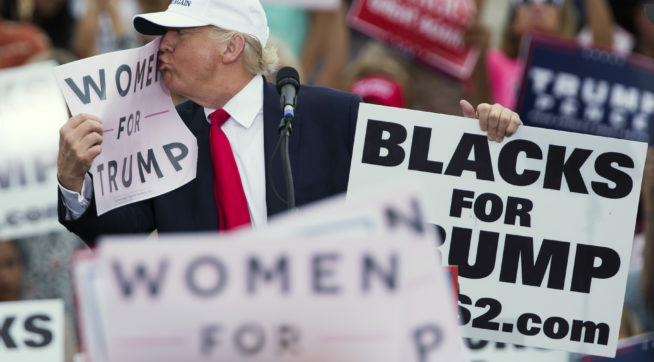 U.S. District Judge Nelva Gonzales Ramos ruled that the law was enacted with the deliberate intent to discriminate against black and Hispanic voters. Ramos said that it violates the Voting Rights Act and the 14th and 15th Amendments of the Constitution. California has never been reluctant to take the lead on critical issues facing the nation. When federal funding was cut off for embryonic stem cell research, it created its own state program. 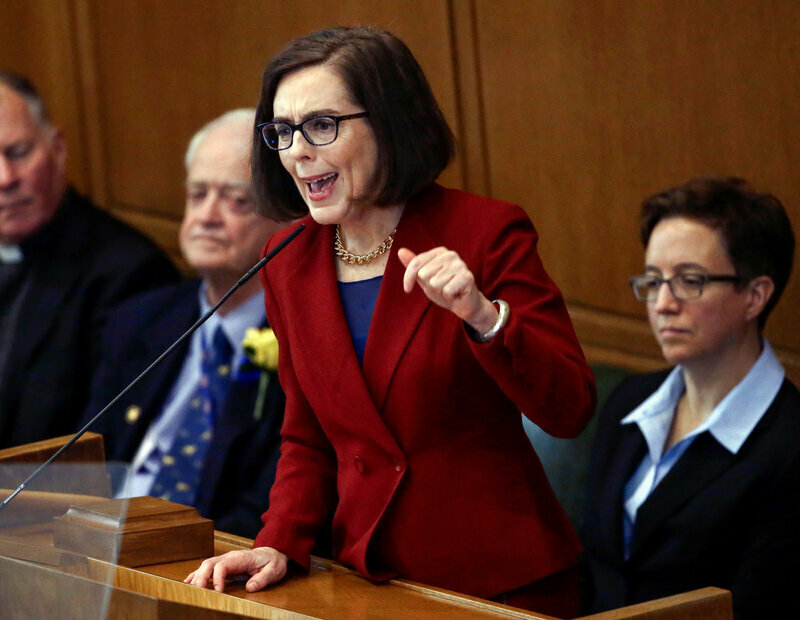 It adopted standards for vehicle emissions and fuel efficiency that have been emulated by other states, and it has doubled down on a commitment to climate change. 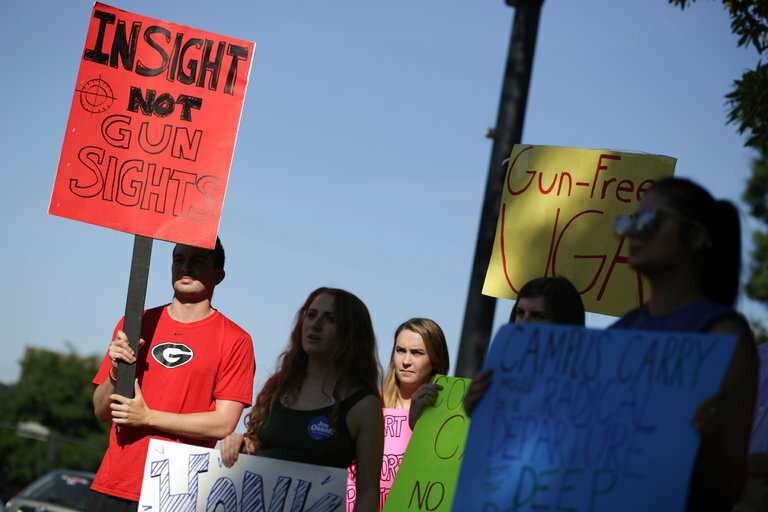 But perhaps nothing is more welcome than California's decision to advance the science of gun-violence prevention with the establishment of the country's first publicly funded research center. 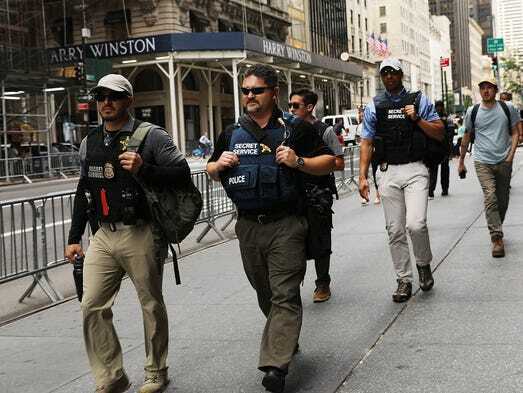 The Secret Service can no longer pay hundreds of agents it needs to carry out an expanded protective mission - in large part due to the sheer size of President Trump's family and efforts necessary to secure their multiple residences up and down the East Coast. Secret Service Director Randolph "Tex" Alles, said more than 1,000 agents have already hit the federally mandated caps for salary and overtime allowances that were meant to last the entire year. The Republican candidates for the Senate seat left open by the appointment of Jeff Sessions to the Department of Justice, Roy Moore and Luther Strange will face off in a runoff Sept. 26. Luther Strange was appointed to temporarily fill the seat and now faces a challenge from a former Alabama Chief Justice known for defying the US Supreme Court. The first round of polling seems to indicate the runoff could be a big win for Moore, who leads Strange in a JMC Analytics poll of likely registered voters, taken Aug. 17 and Aug. 19, by 19 points. What changed? 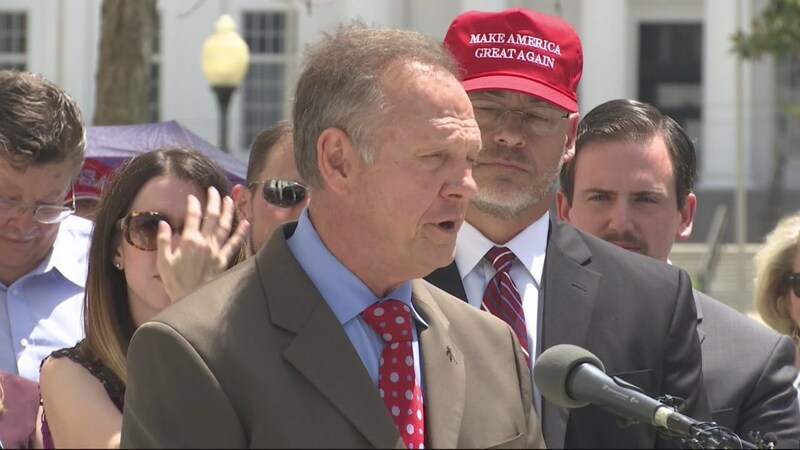 How is it that he is now in the driver's seat for a spot in the U.S. Senate when, before this election, many largely dismissed Moore as a fringe novelty candidate who was dining off the 2003 Ten Commandments controversy? The first excerpts from Hillary Clinton's forthcoming book about the 2016 presidential election, have been released. 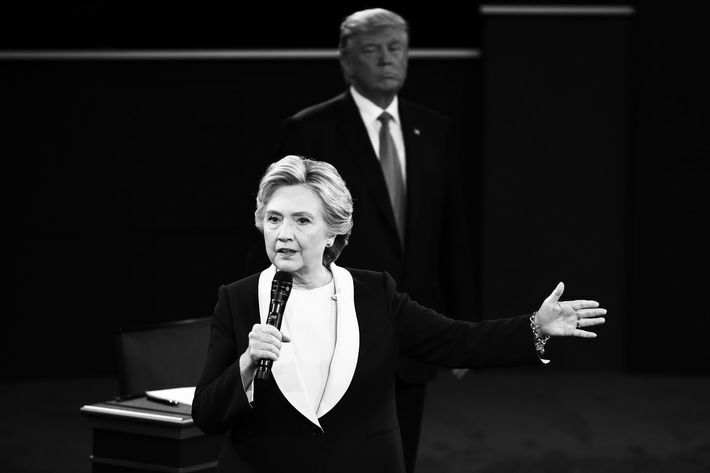 In the excerpts, Clinton says that she chose to write the book - which will be published on September 12 - to share her side of the story, and also addresses the October presidential debate during which Donald Trump continually loomed behind her. The true story of an Italian teenager who helped smuggle Jews over the Alps during World War II is getting the Hollywood treatment, from the same team behind Spider-Man: Homecoming. Mark Sullivan's novel Beneath a Scarlet Sky follows the real-life story of Pino Lella, an Italian teenager who ends up joining an underground railroad during World War II. He helps Jews escape to freedom as Nazi forces close in. 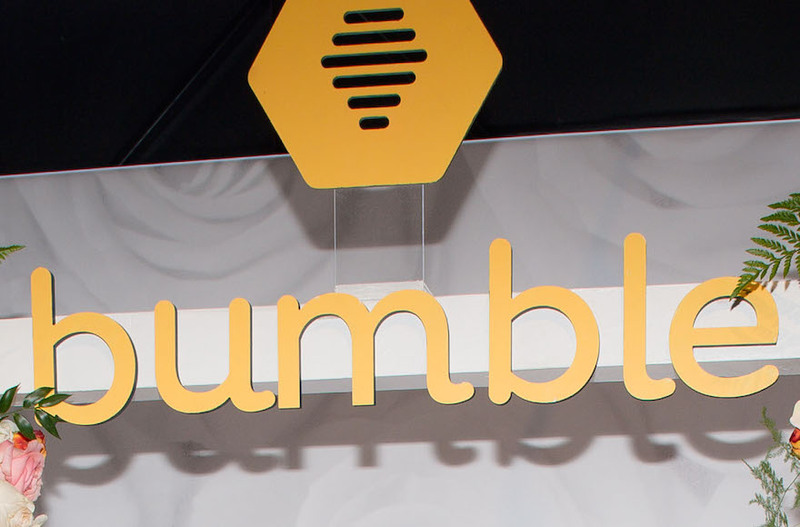 The popular dating app Bumble will work with the Anti-Defamation League's Center on Technology and Society for "guidance on identifying all hate symbols." The app, which as of February had over 12 million users, announced the partnership on its website. In a statement, the company called on users to report others who displayed "hate symbols" in their profiles . "When people speak out and the haters pay a social cost, that's a very powerful tool. We need a lot of folks to speak out. Not just political leaders. We need civil society to rise up. It's got to be consistent, it's got to be long term and it's got to be a lot of people."